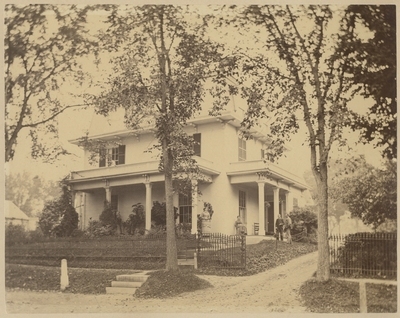 The exterior of the home of former United States Vice President Hannibal Hamlin and his family at 15 Fifth Street, Bangor, Maine. The image is marked on the back, "C.L. Dakin, Artists, 72 Maine Street, Bangor, Maine."